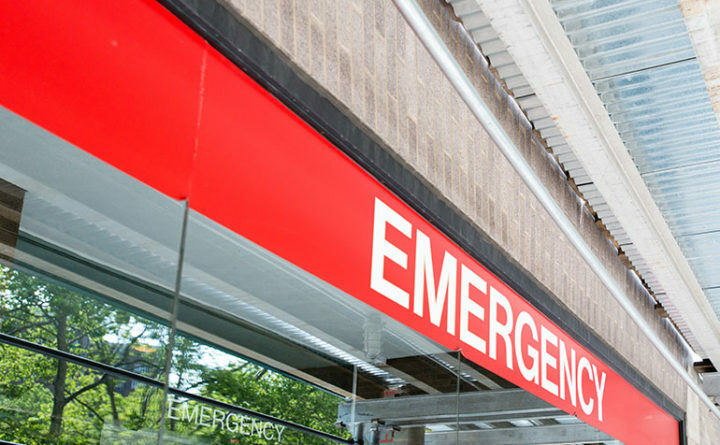 Visits to hospital emergency departments are supposed to be brief so physicians can treat the most acute injuries and illnesses. But Maine ERs are also seeing other patients that need long-term help. Children with developmental disabilities spend days, even weeks, waiting in ERs for placement to receive long-term help. The state of Maine has hired a consultant to help address the problem and is holding a series of town hall meetings beginning this week. In the 10 months Kelly Staples’ son Eric has been in residential treatment, she says, he’s been brought to the ER in crisis at least a half a dozen times. Eric is 13 and has Klinefelter syndrome, a condition that affects intellectual development. He struggles to communicate and regulate emotions, which can lead to destructive behavior. Eric’s longest stay in the ER was 12 days. And as he cycles from the residential program to the ER and back, Staples says his behavior isn’t improving. “If we could just find that person or persons who could really help him learn to communicate, learn to understand what he’s hearing. Because when you get older and you damage property, you go to jail. And that’s what I’m really worried about,” she says. Krissy Falls’ 15-year-old son, Isaac, is autistic, nonverbal and has behavior issues. He became so aggressive in Feb. 2017 that she called 911, and says he spent a week in the ER waiting to be admitted to a psychiatric hospital. Part of that time, she says, Isaac had to be restrained by his wrists and ankles. “Eventually Isaac just kind of gave up and stayed on the stretcher. I don’t think he wanted to be put in the restraint. After a few days, they took it off. I think he just wanted to lay there. Plus they pumped him full of Thorazine. It was pretty hard to watch as well,” she says. Thorazine is a sedative. Isaac is now in residential treatment, but Falls says he spent two weeks in the ER last summer because his behavior is deteriorating. Josh Gross’ 14-year-old daughter spent an even longer time in the ER. Gross says she has autism, PTSD and depression, and he brought her to different emergency departments several times last year in crisis. “Ultimately she ended up at Mid Coast in the ED unit there, which, she spent 33 days in Mid Coast before any placement,” he says. Gross says it took more than a month to find long-term treatment for his daughter because providers initially said she was too acute and aggressive to be admitted into their program. These kinds of experiences — of children in crisis who end up stuck in limbo in the ER — are familiar to Jeff Austin of the Maine Hospital Association. He says a lack of services is often what drives children and families to the emergency room, and it’s also what keeps them there. “So both on the front door, if you will, the emergency room, and the back door when we’re trying to discharge people who’ve received care, it’s hard to get people the services they need and get them into a setting where they’re going to be OK out in the community. We hear about that a lot,” he says. It’s not clear how many Maine children with developmental disabilities go to the ER in crisis. But the ER At Mid Coast Hospital in Brunswick reports that it sees about 300-500 kids annually with behavioral health as the chief complaint. “But what’s more staggering is that the length of stays have gone up,” says Dr. Ranjiv Advani, Mid Coast ER’s medical director. Advani says the length of stay for children who need to be admitted to a psychiatric hospital has more than doubled over the past four years, from an average of 20 hours to more than 50 hours. For those waiting for placement in residential treatment, he says, the wait is often longer. Even though Mid Coast opened a behavioral health emergency department three years ago to better serve these kinds of patients, Advani says the ER is not equipped to provide long-term care. “Really the emergency department is a good place as a safety net. And a good place to calm the crisis down. But really not a good place to be giving definitive or long-term care over days.” he says. “Once you’re in the emergency department, it becomes really complicated,” says Katrina Ringrose, an advocate with Disability Rights Maine. Ringrose says long waits in the ER are often due to disagreements between providers about where a child should go: to residential treatment or a psychiatric hospital. “Many times children get worse in [emergency departments], and then trying to find placement becomes even more difficult, because the child has deteriorated,” she says. The wait times in emergency rooms underscore a larger, underlying problem: the lack of home and community-based care. That’s according to Lydia Dawson of the Maine Association of Community Service Providers. She points out that the waitlist for basic in-home services for children has grown from about 300 a year ago to 450 currently. “I think it goes beyond anecdotal that families start out with that small level of need, and when they’re unable to get it met, end up in much more dire circumstances,” she says. Maine’s Department of Health and Human Services is contracting with the organization Public Consulting Group to study children’s behavioral health services, as a result of ongoing negotiations with Disability Rights. In an email, DHHS spokeswoman Emily Spencer says the study will likely be completed by the end of this year or early next, and will culminate in both short- and long-term recommendations for improvement. Spencer says the LePage administration is also requesting federal approval for new adolescent psychiatric residential facilities to alleviate pressure on emergency departments. But Ringose of Disability Rights says Maine should keep its attention on building up services in homes and communities. “I think if we were to focus on the higher end and increase hospital beds or look at creating more institutional settings for kids, we’d be releasing this pressure valve in the wrong direction,” she says. A series of town hall meetings will be held throughout the state over the next two weeks to solicit input for the study.